The MEK (PMOI)has spent the past month working to prevent assassinations against its members and attacks on its offices. The MEK (PMOI)has been attacked by the regime previously, leading to the deaths of many of its members living as refugees at Camps Ashraf and Liberty. The regime appears to be planning an escalation of its campaign against the organization, which could quickly lead to terrorist attacks. The Supreme National Security Council (SNSC) in Iran opted for an “operational” response to the PMOI/MEK. 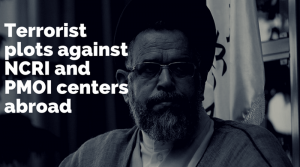 They decided, in part, to spy domestically on those deemed to be responsible for the protests and to plan a major attack on the PMOI/MEK, using the current capacity of the Revolutionary Guards and the Ministry of Intelligence Service (MOIS). Suspicious activities, such as reconnoitering, photographing and mock parking maneuvers, have been reported in Berlin and Washington, D.C. outside of the offices of the National Council of Resistance in Iran (NCRI), of which the MEK (PMOI)is a member. Relevant officials have been informed of possible terrorist strikes. The regime’s hostility toward the MEK (PMOI)is well-documented. 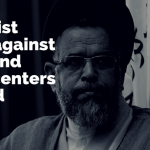 As protests continue in Iran against the repressive theocracy, it is expected that their campaign to demonize the MEK (PMOI)will continue to escalate.